Here's where we've had the most luck in hunting woodpeckers for Red Dead Redemption 2's Hunting Request. Woodpeckers are lovely little creatures with an extremely distinctive pecking sound. Unfortunately if you want to complete all of Red Dead Redemption 2’s Hunting Requests, you’re going to have to shoot one down. They’re not enormous birds which can make them tricky to spot, even if you can hear them. In this guide we’ll teach you the best places to find and hunt woodpeckers in Red Dead Redemption 2. There are two kinds of woodpecker in Red Dead Redemption 2; the Red-bellied Woodpecker, and the Pileated Woodpecker. The former is native to the area around Annesburg and Roanoke Ridge in New Hanover, while the latter appears throughout the wooded regions of New Hanover. Both can also be found in West Elizabeth, Lemoyne and Ambarino. 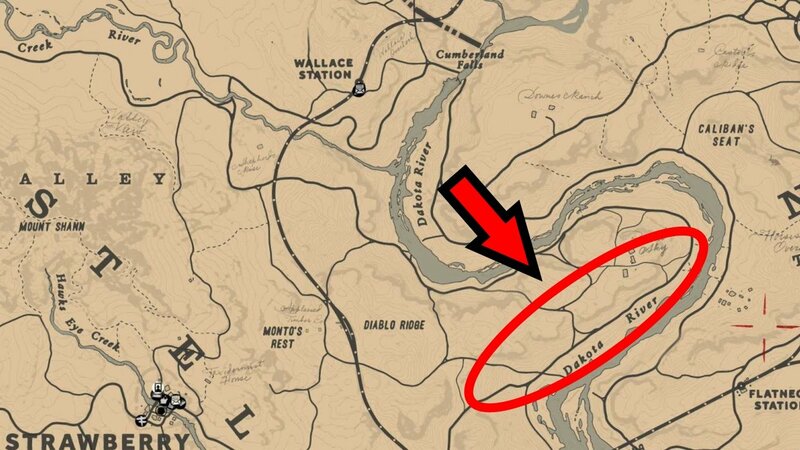 In fact woodpeckers are spread throughout almost the entirety of Red Dead Redemption 2’s map, with the exception of central New Hanover and the far southwest of New Austin. Spotting them is another matter entirely, however. Much like hunting the Blue Jay we recommend travelling to the Dakota River, which pokes out from the northwest corner of Flat Iron Lake. Starting in the morning light, ride your horse close to the trees on the west side of the first bend in the river. This should spook birds out of them, giving you a chance to take them down with Dead-Eye. While it’s tough to see which birds you’ve scared from a tree, there are plenty of woodpeckers hiding in this area, so as long as you don’t mind wasting some ammunition you should find one in no time. As mentioned above, the best time to find them is in the morning, so set up camp and repeat the loop of the area if you don’t have any luck. We've embedded a short video we found by Turtly Hermit WaspinatoR below which shows the technique in action. Because woodpeckers are small game, you should use either the Varmint Rifle or Bow with Small Game Arrow to have the best chance of grabbing the Perfect Carcass required for the Hunting Request. Normally you’d want to study your targets from afar to ascertain their pelt quality before you hunt, but Woodpeckers are extremely tricky to spot from a distance. The most effective way to get yourself a perfect pelt is to look into crafting the Buck Antler Trinket which will improve the quality you receive from skinning by one tier. Beyond that, the best advice we can offer is a bit of patience. Once you’ve found a common woodpecker spawning point, you just need to keep trying to until you earn that perfect carcass Make sure you deliver it soon after you succeed or the quality will degrade. While you’re here, you may want a look at our other Red Dead Redemption 2 guides. We’ve got both hunting and collectable guides, so check ‘em out. Here’s where to find and hunt iguanas, while over here you can learn how to encounter the spooky Night Folk.